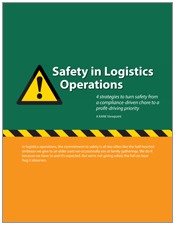 4 strategies to turn safety from a compliance-driven chore to a profit-driving opportunity. 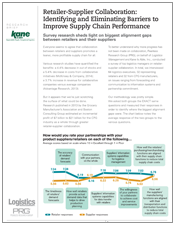 New research with retailers and suppliers identifies barriers to collaboration and suggests ways to improve. 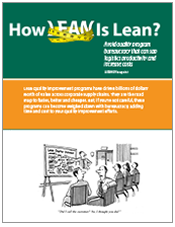 This quick-read eBook reviews ways to make sure lean program management doesn't get in the way of getting the work done. 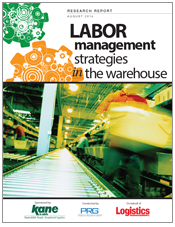 This paper summarizes the results of an industry survey of logistics executives on the strategies they employ for managing labor in the distribution center. 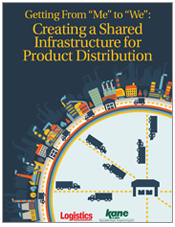 Paper examines the cost and environmental advantages of creating an infrastructure for retail product distribution that companies can share. 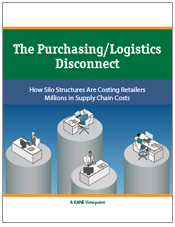 Paper looks at how silo structures within retailer organizations are costing millions in supply chain costs. 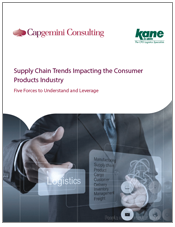 Paper reviews five forces that will impact future logistics operations for consumer products. 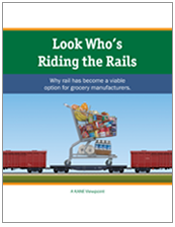 Changes have made rail a viable option for distribution of consumer products and rail shippers are realizing the benefits. 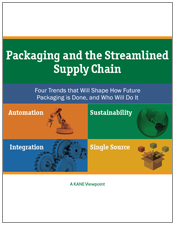 Paper reviews four trends that will shape how future product packaging is done, and who will do it. 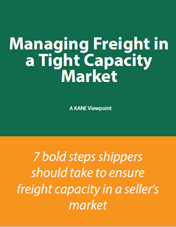 Learn how small shippers use collaborative freight strategies to lower costs. 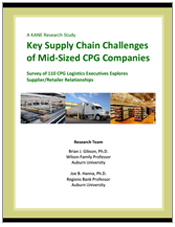 A survey of 110 CPG logistics executives explores supplier/retailer relationships. 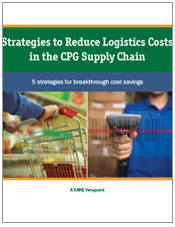 Five strategy changes consumer goods manufacturers should consider for large savings. 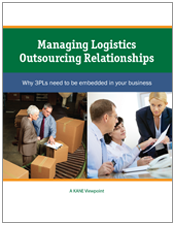 Paper explores how current models for managing outsourced logistics relationships limit a 3PL's ability to drive innovation. 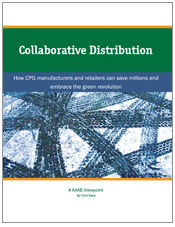 How CPG manufacturers and retailers can save millions and embrace the green revolution. 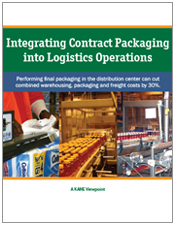 Paper explains how CPG companies can streamline their supply chains by integrating final packaging into distribution operations. 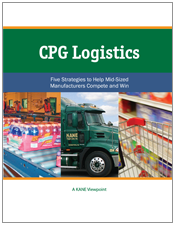 Paper reviews how mid-sized CPG companies can drive supply chain efficiencies despite a lack of systems capabilities and freight volumes enjoyed by larger competitors. 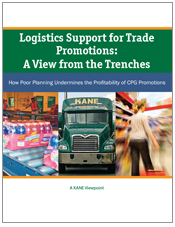 Trade promotions, a marketing staple of consumer packaged goods (CPG) companies, are a big, messy management challenge. 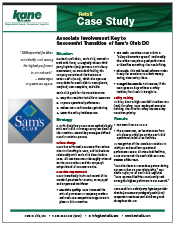 This paper examines solutions to cleaning up the mess. 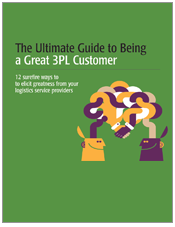 Logistics at the Speed of Life. 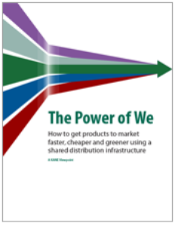 You make great products that people love. We get them to market. 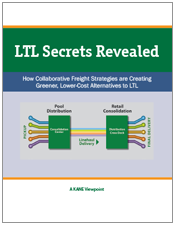 This feature content, published by Logistics Management magazine, looks at how collaboration among shippers can dramatically reduce distribution costs and CO2 emissions. 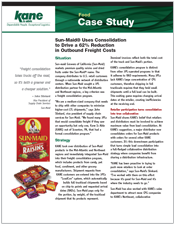 KANE took over distribution of Sun-Maid products in the Mid-Atlantic and Northeast regions and integrated Sun-Maid into their freight consolidation program, which drove a 62% reduction in outbound freight costs. 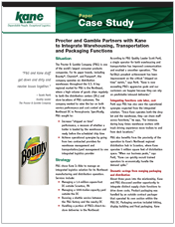 To drive both cost and service improvements, the company consolidated all services with KANE, which operated more than 2 million square feet of space to support packaging and distribution. 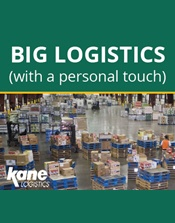 KANE's success managing the retailer's first cross dock facility led to KANE being awarded the operation of three additional cross docks. 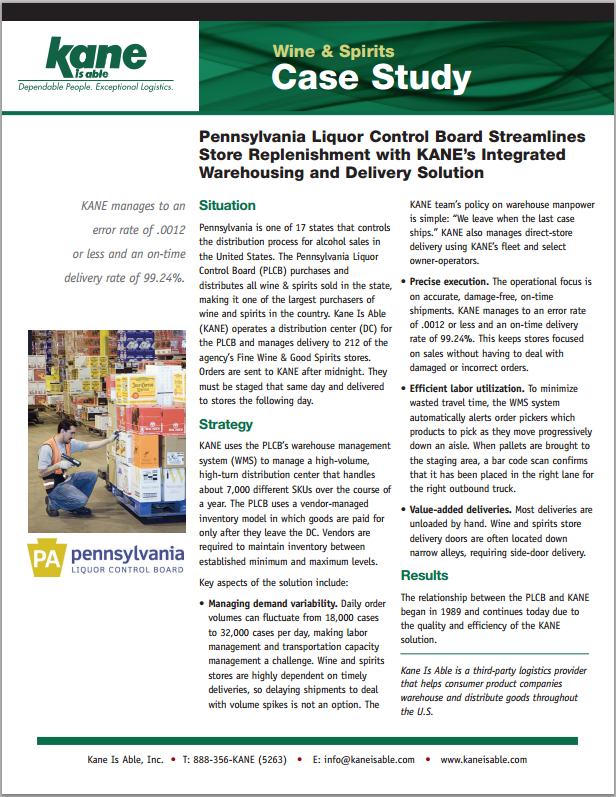 KANE uses the PLCB's warehouse management system to manage a high-volume, high-turn distribution center that handles about 7,000 different SKUs over the course of a year. 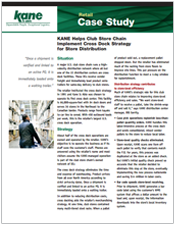 Learn how KANE helped a major national retailer resurrect a struggling cross-dock facility, eliminating safety incidents and improving performance all while keeping the transition invisible to customers.